Formerly known as the Anheuser Busch Center, the World Wide Technology Soccer Park is a venue for world class soccer. 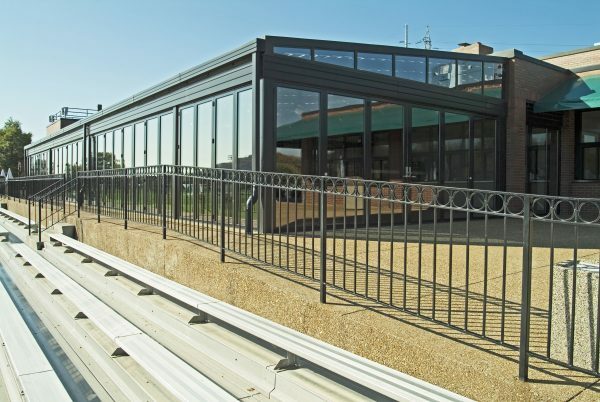 Located in St Louis Missouri, the facility boasts 4 soccer stadiums with natural grass and turf. 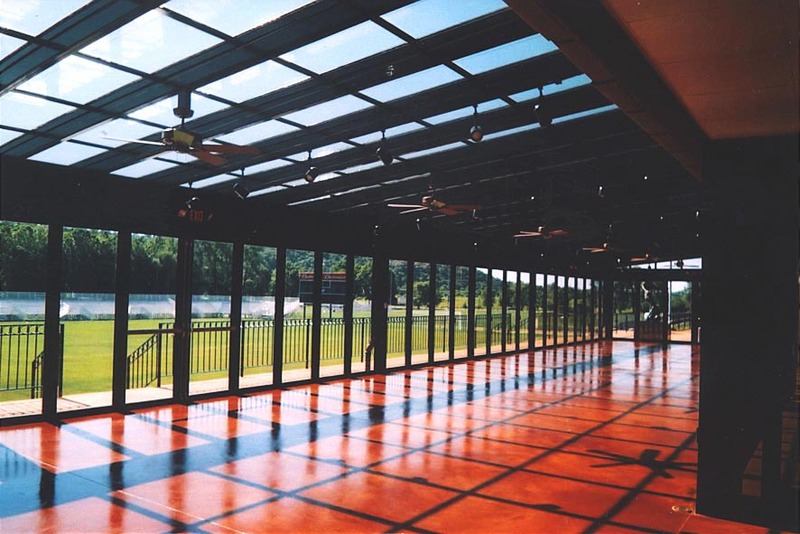 It’s home to the St Louis Scott Gallagher Soccer Club which consists of 275 teams and over 3600 players. It’s also the location that Webster University uses for it’s men’s and women’s soccer teams. The pro soccer team, St. Louis Football Club, also calls the soccer park home. 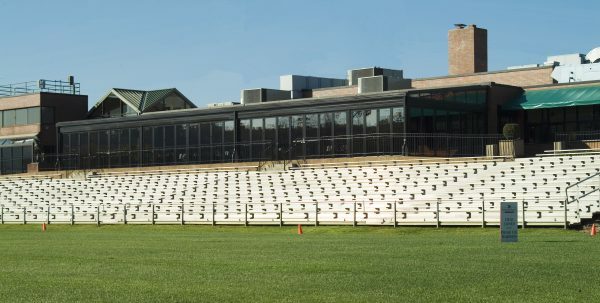 When it was built in 1982, the soccer park was the favorite location of August Busch IV, the former CEO of Anheuser-Busch, who disliked the Busch headquarters. Crystal Structures was contacted when the club underwent major renovations in 2012. 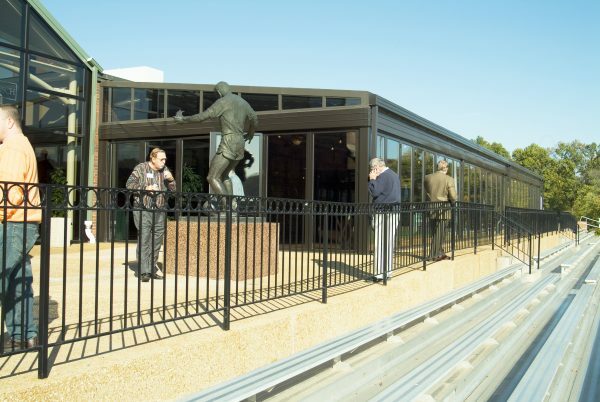 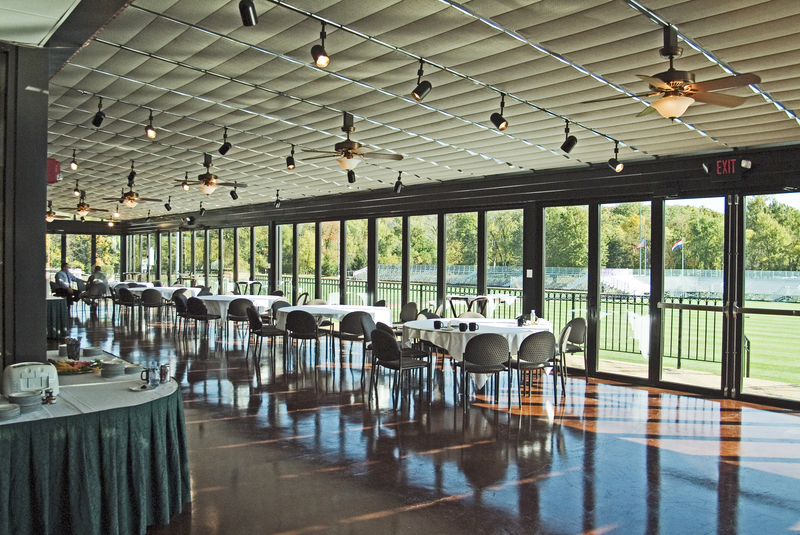 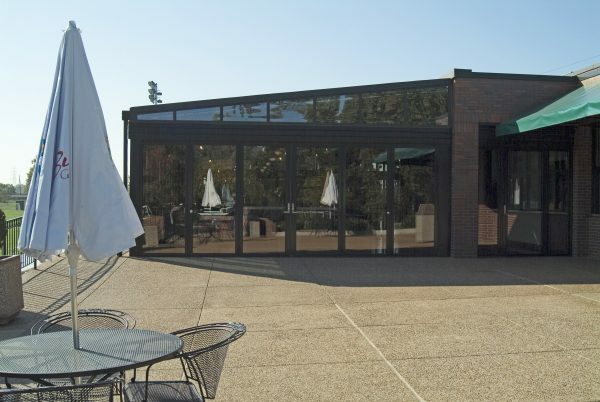 In addition to turf and scoreboard upgrades, the facility was given a new space for entertaining and watching the games under a glazed solarium. The solarium is 84′ long and 20′ deep providing plenty of shaded seating as you can see in the photos below.